This year’s voyage has been divided into ten parts. Volunteers have requested/been granted a specific slot on the voyage. It’s my job to make sure they know when to be at the main campus of LCMM, what they should pack, let them know how much space they will get for all the stuff they bring (including sleeping bags), and to get them directions as to where to meet with the schooner. In addition, I get requests for restocking the retail store and a shopping list of bulk items to go shopping for to keep the crew fed. There are also the requests from the crew of items they have forgotten, need replaced, or didn’t originally think they would need. The actual vehicle used for the rotation has changed throughout the years. Space is definitely a consideration, and the Grand Journey in 2005 included the purchase of a full size van as a chase vehicle. 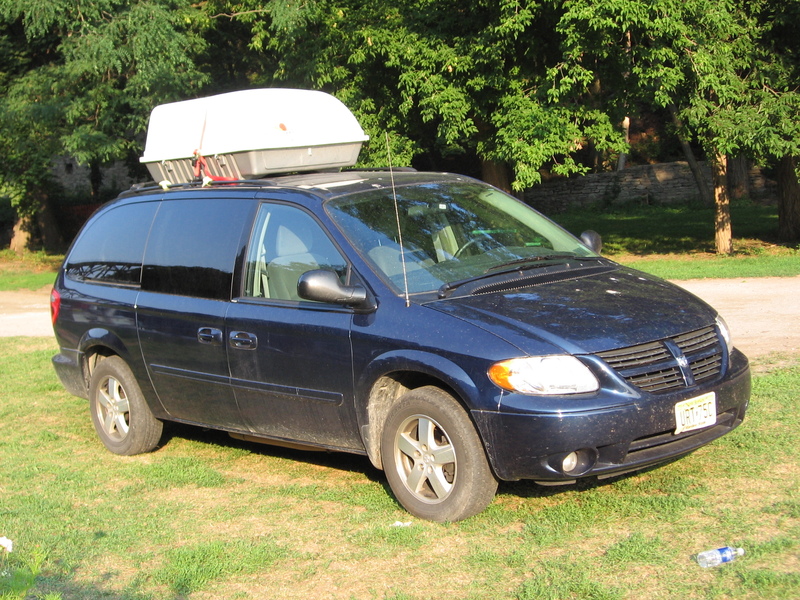 However, after dealing with many breakdowns, the decision was made to rent a vehicle instead and Grand Canal Journey of 2007 saw a minivan as the volunteer chariot. This year, we are renting a small SUV from Enterprise Rental, and while the cargo capacity isn’t as massive as a full size van, it has done well hauling batches of volunteers and all of their gear back and forth from the schooner. At least one day before the van leaves, I get everything together and go to the museum to pack it all all into the van. Chris McClain helps out by making sure the van is gassed up and ready for its trip across New York state. There’s an art to getting all the supplies packed into a small SUV, while still leaving room for 4 people and all of their gear that they bring for a week on the Lois. So far, there’s still been room for them to breathe on the trip out! Elisa has been with the schooner from the beginning in 2001. She worked throughout the construction of Lois McClure in Burlington as lead interpreter and volunteer coordinator. She resides with her husband, who is also involved with the schooner as a volunteer, in Burlington, VT. She rejoins the Lois again this year as Volunteer Coordinator and Home Port Logistics Officer.